The Quest is nearly over. When you’ve waited nearly two decades between Super Bowl appearances, my first instinct is just to be happy the San Francisco 49ers have the opportunity to play for the championship of professional football. After happiness passes, what’s left is nervousness. Fans get too worked up and involved in the fortunes of their favorite sports franchise. It leads to alcoholism, needless anxiety, panic attacks and early baldness. I think the 49ers will win, but I can’t say complete certainty. That’s what an 18-year absence from the Super Bowl does for your confidence. It makes you run scared. Everybody’s got a guess. The experts can go down a list of every player on both the 49ers and the Baltimore Ravens and tell you with total confidence this will be the contributing factor that tilts victory to one side or the other. They’ve crunched the numbers. They’ve watched the tape. They’ve consulted with the wisest of wise men. But all they’re doing is giving their best guess. They know all the reasons why the Niners or the Ravens will win. What they don’t know is who will. My nature is to hope for the best and prepare for the worst. The Niners have a great defense, playmakers on both sides of the ball and in Jim Harbaugh and Colin Kaepernick I trust. But everything the 49ers have, the Ravens have too including a Harbaugh of their own. It’s hard to have any swagger when each team has it own share of Unmovable Objects and Irresistible Forces. Make way for a new Lord of the Rings? There have been some signs of the Niners not handling the media attention well. Reserve cornerback Chris Culliver’s anti-gay remarks made him look dumb and revealed how poorly the 49ers front office prepped the players to deal with the extra attention. The former Howard Stern sidekick Artie Lange is no journalist and he baited Culliver with a leading question, but Culliver put his own feet in his mouth and swallowed. There’s no undue pressure on either team. This is the the second Super Bowl appearance for the Ravens and the sixth for the Niners, but that doesn’t mean there’s no expectations for the 49ers. 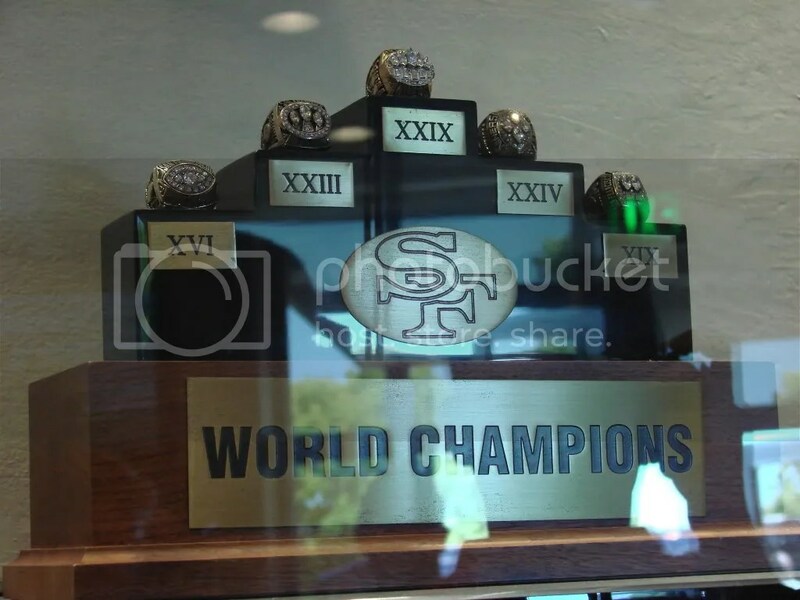 They’re challenging the Pittsburgh Steelers for a sixth ring, but unlike the Steelers, the Niners have a perfect record: They’ve won every Super Bowl they’ve been. That’s where the heavy hand of history falls squarely on the shoulders of the 49ers. In the big picture of the carnival that is Super Bowl week, the Culliver controversy isn’t all that big of a deal. He isn’t going to be star of the game. More likely it will be someone named Lewis, Willis, Flacco, Rice, Crabtree or Gore (and if you don’t know who those guys are, you’re better off watching The Puppy Bowl or the Lingerie Bowl). I will tune in at 6:30 ready for three or four hours of hype, commercials, celebrities, and oh yeah, a football game. I expect big hits, edge of the seat excitement, good company and hopefully—HOPEFULLY, a sixth ring for San Francisco. And I’ll hope most of all it doesn’t come down to a last second field goal from David Akers because the only thing I’ve been able to depend on Akers’ kicking is that I can’t depend on it. Since Super Bowl 47 is taking place in New Orleans: Laissez les bons temps rouler, Geaux Niners. ← Young. Gifted. Black. Gone.